IBM unveiled its next-generation Power Systems Servers based on its newly designed POWER9 processor and designed for compute-intensive AI workloads and frameworks, such as Chainer, TensorFlow and Caffe, as well as accelerated databases such as Kinetica. IBM calculates that its new POWER9 systems are capable of improving the training times of deep learning frameworks by nearly 4x. 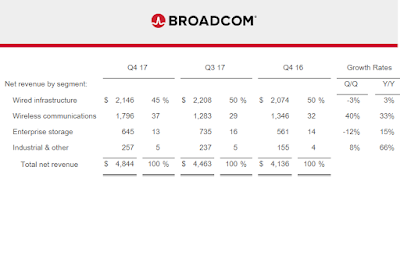 Broadcom reported Q4 2017 revenue of $4,844 million, an increase of 9 percent from $4,463 million in the previous quarter and an increase of 17 percent from $4,136 million in the same quarter last year. 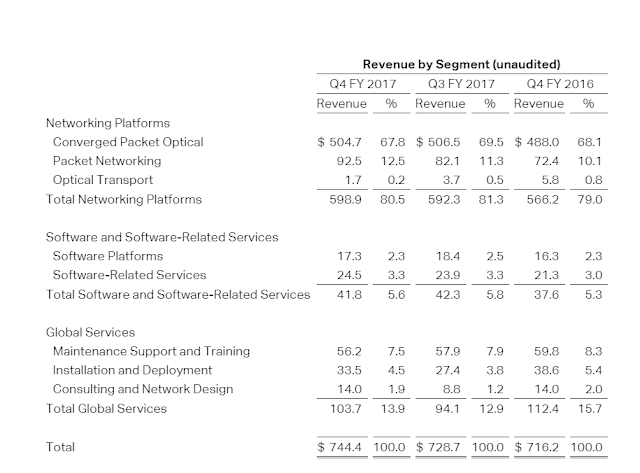 Gross margin was $2,383 million, or 49.2 percent of net revenue, compared with gross margin of $2,149 million, or 48.2 percent of net revenue, in the prior quarter, and gross margin of $2,171 million, or 52.5 percent of net revenue, in the same quarter last year. 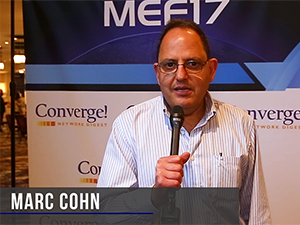 One of the challenges with SDN and NFV, especially with operators, is the need to transform the entire organization, says Marc Cohn. This video covers new certification programs being developed for MEF 3.0. There are plans to broaden the certifications across multiple domains. One goal is to help people leverage this knowledge into career opportunities. Fortinet has just released an SD-WAN solution that provides tight integration of security from Layer 3 to Layer 7. 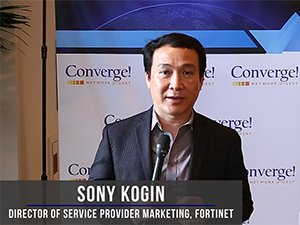 This makes connectivity to the cloud much more secure, says Sony Kogin, Director of Service Provider Marketing, Fortinet. How do you provide services across secure Service Provider boundaries? 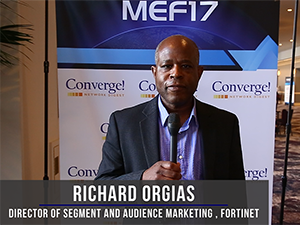 Fortinet is working with other MEF members to define Security-as-a-Service, explains Richard Orgias, Director of Segment and Audience Marketing, Fortinet. T-Mobile US' Board of Directors authorized a stock repurchase program for up to $1.5 billion of T-Mobile’s common stock through December 31, 2018. 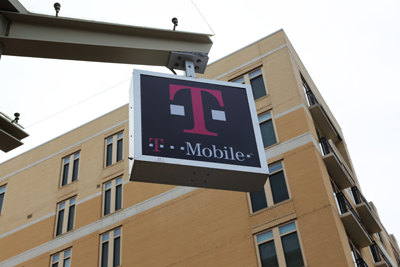 Deutsche Telekom is also expected to purchase another $500 million in T-Mobile's common stock on the common market. Ciena reported revenue of $744.4 million for its fourth quarter of fiscal 2017, ended 31-October-2017, as compared to $716.2 million for the fiscal fourth quarter 2016. For fiscal year 2017, Ciena reported revenue of $2.80 billion, as compared to $2.60 billion for fiscal year 2016. Ciena's fiscal fourth quarter and fiscal year 2017 results reflect a tax benefit of $1.13 billion related to the reversal of a deferred tax asset valuation allowance. 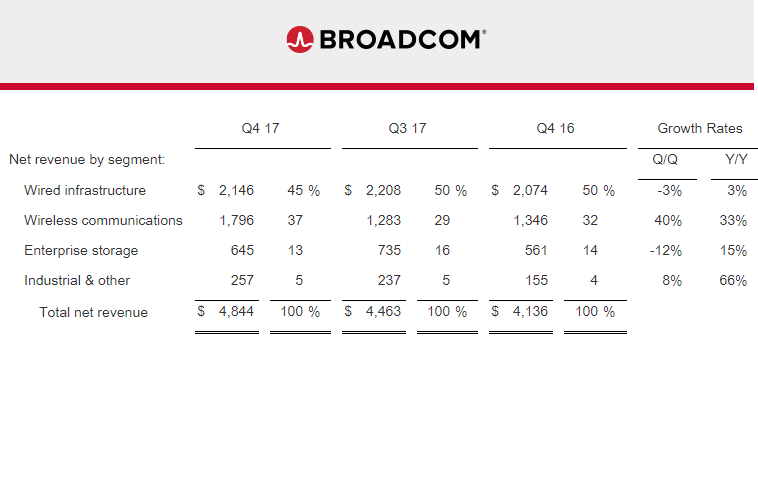 As a result, GAAP net income for Q4 was $1.16 billion, or $7.32 per diluted common share, which compares to a GAAP net income of $36.6 million, or $0.25 per diluted common share, for Q4 2016. 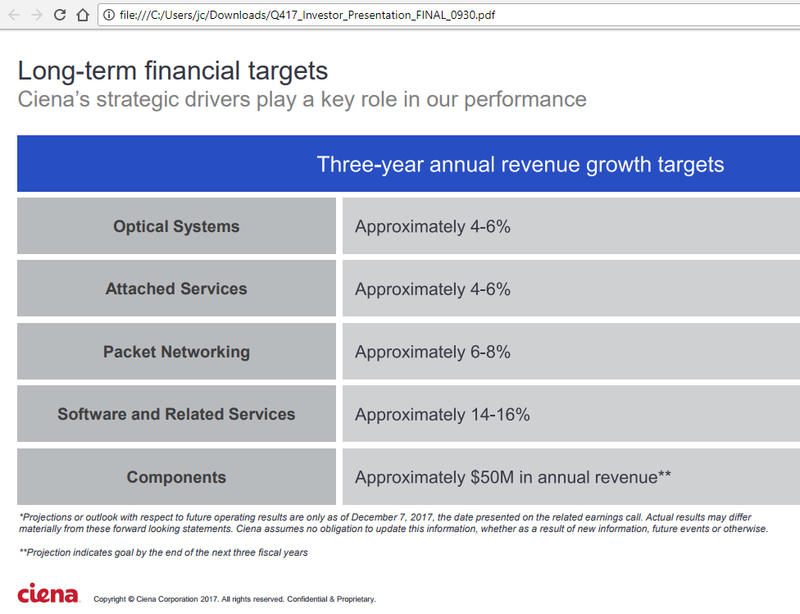 For fiscal year 2017, Ciena had a GAAP net income of $1.26 billion, or $7.53 per diluted common share, which compares to a GAAP net income of $72.6 million or $0.51 per diluted common share for fiscal year 2016. Separately, Ciena's Board of Directors authorized a program to repurchase up to $300 million of the company’s common stock through the end of fiscal 2020. Royal KPN announced the appointment of Mr. Maximo Ibarro as CEO and as chairman of KPN's Board of Management. He replaces Mr. Eelco Blok in both positions. Ibarra previously led the merger of Wind and Tre Italia, Italy's two biggest telcos. Previously he was CEO of Wind.